Roughly chop spinach. Peel kiwi and cut into small pieces. Core apple and cut into small pieces. 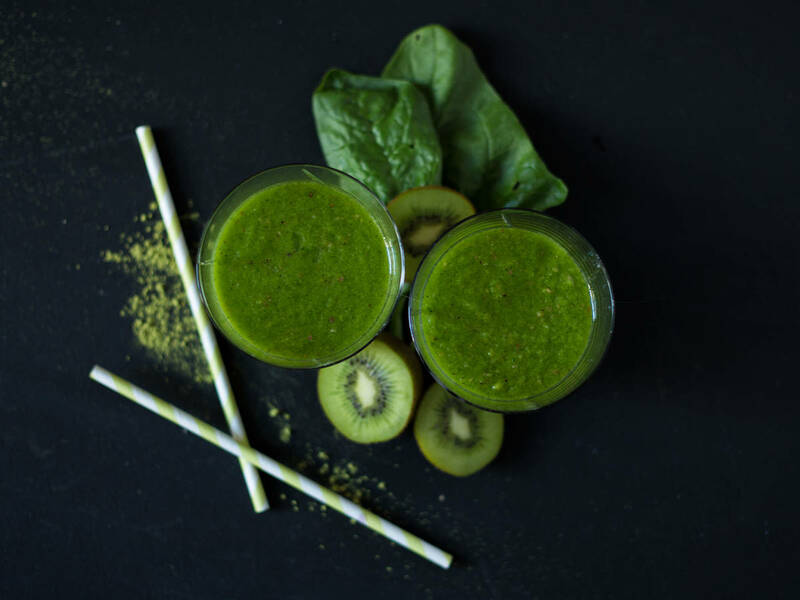 Add apple, kiwi, spinach, agave nectar, mint, matcha powder, and water to blender. Blend for approx. 1 – 2 min. until smooth. Enjoy!